As the sun set over Earth House, Overcoats and I sat down to discuss their recent tour, the music industry, privilege, and their experience as women in the overwhelmingly male-dominated world of electronic music. Overcoats arrived on campus last Saturday for an “all day affair” of sorts. Sponsored by the Aldelphic Educational Fund and the Creative Campus Initiative, Overcoats led a forum on “Gendered Beats.” JJ Mitchell '15 and Hana Elion '15 spent the afternoon discussing women in electronic music based on their experiences as female musicians at Wesleyan and beyond. Later that night, Overcoats performed at Earth House along side campus musicians, Old Soles and IVES. The forum was a discussion of their experience as women in the industry and the implicit sexism they’ve experienced and tried to navigate since graduation. Thinking about the language that informs this implicit sexism, I asked Overcoats if any of these experiences have resonated in their music and language they employ in writing their songs. 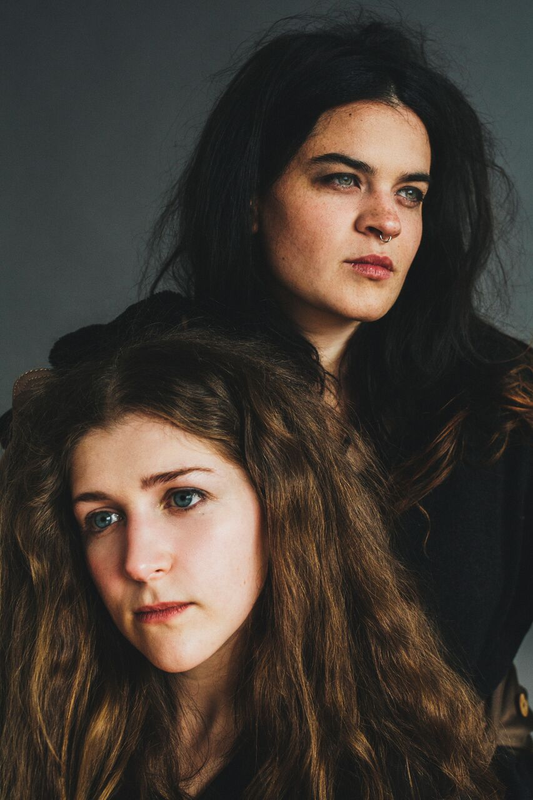 Having recently wrapped up touring, Overcoats commented on the transition from the supposed stability of Wesleyan campus-life to the chaos of touring in Ireland, England, and the US. Having just performed at Colby and Wes, they’re heading back to the city for another show this week, and then on to Washington DC and Northampton to work on material for their first album.